Budgeting your money is an important task to do on a daily basis. Yes, there are benefits of budgeting. So, why is budgeting important? 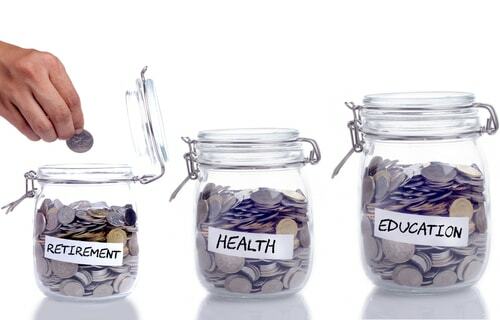 When you budget your money, you will see many benefits of budgeting by saving your money in a responsible manner. Whether you have a set fund for monthly bills or reserve eating out for specific times of the month, budgeting your money and setting up a budget will allow you to see money benefits simply from doing so. How to budget and save money! Ready to learn more? Read on. Budgeting or financial planning may not always be easy to do, but it's all worth it. It's not just about looking at your financial statements and making adjustments, but it starts there. Here are some of the benefits you can get from budgeting any amount of money. As for another one of the advantages of budgeting, when you budget your money in an organized manner, you can easily reach your long-term financial goals in a speedier fashion. Whether you are eager to pay off your home mortgage or want to pay off that pesky car loan, having a budget and striving for long-term financial goals will help you reach those goals faster than you ever thought. If you have school loans which have been on your mind and you want to pay them off more quickly, use your budgeting skills to find a proper way to do so. Want to earn some extra money to help you to achieve your long-term financial goals? Try filling out surveys with Survey Junkie or deliver food with UberEats or DoorDash. When you budget, you can have peace of mind knowing that you'll be able to pay the bills when they're due. 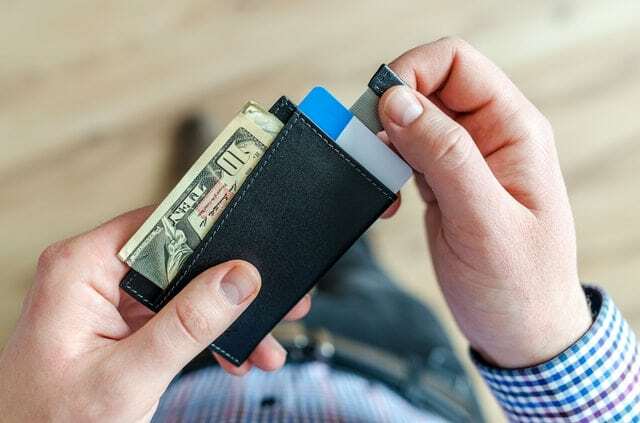 In addition to paying the bills when due, if you budget your money in the right way, you'll be able to pay even more than the minimum monthly payment, which will help you pay off your credit card balances more quickly. Also, if you pay your bills late, you will see additional expenses added on. Having a budget in place will make this occurrence less likely. Paying the bills with ease is a prime example of the benefits of budgeting. Trim – negotiates even the most difficult bill you have. Last month alone, it saved users over $1 MILLION. That's with an M. See my review here. Simply by knowing that you have a money budget will bring less stress into your life, which is one of the advantages of budgeting. When you know that you won't be scrambling to pay bills when they're due, buy groceries which you can't afford at the moment, or endure any other type of expense, less stress will be felt. Stress and financial worries go hand-in-hand. If you want to alleviate stress, get rid of those financial worries by having a set budget in place. Another way to reduce the stress is to have a side hustle, such as tutoring online with VIPKID or reading emails to make money with Vindale Research. By creating a budget and including everyone in the family in on that budget, you are working together to achieve a common goal and adding to the overall family cohesiveness. Work as family to look over the income and expenses and decide which ones can be eliminated and which costs are necessities. Spouses and older children will find that looking at the money aspect will not only help to save money but will also be an eye-opening experience for everyone in the family to know that money is earned from hard work and expenses are always there. Spending money can sometimes be done at a frantic pace with no rhyme or reason to it. When you have a budget that you follow, you'll enjoy organized spending. I should say with a budget, you'll be more aware of what you spend. That's a great thing, actually. You'll know what you need to buy, what you want to buy, and what you shouldn't buy, at least for the time being. Organized spending is another one of the benefits of budgeting. You never know when you're going to need some extra cash. When you have a budget, you can save some money for potential emergency reasons (i.e., emergency funds). Whether you need immediate car repairs or have to pay for medical bills which recently popped up, you can take your budgeted emergency fund and put that towards the necessary payments. When you have a bit amount of money saved away as part of your budget, you know that should you ever need it, the money's there. Around 63% of Americans don't have enough savings to cover a $1,000 emergency. 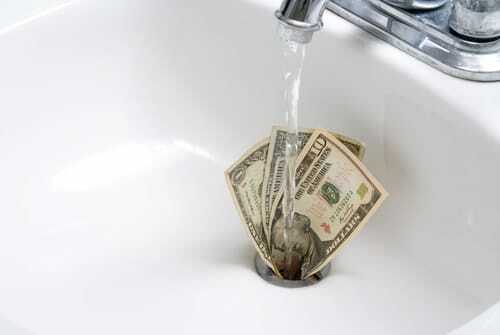 Thirty-four percent of American households experienced what's considered as a major unexpected expense over the past. The moral of the story is it is always best to have emergency funds stashed away. That's where budgeting can be most beneficial. When you have a budget in place, you can pay a larger amount of money on certain bills and reduce the overall debt in a quicker manner. That's one of the best benefits of budgeting, and probably the best one. With a budget, you can look at your expenses, see which ones have higher interest rates, and then pay more money on those bills, if possible, to reduce the balance more quickly. Using a budget will allow you to see what money comes in and how much money you are able to spend to pay off debt. Tally – is the world's first automated debt manager that makes saving money, managing your cards, and paying down your balances faster. Tally will pay your debt in exchange for a better debt arrangement, potentially saving you hundreds of dollars. Having a budget in place means that you are the one in control and this is important for budgeting. You won't find yourself aimlessly spending money around town if you have a budget and stick to it. Or when there are unexpected costs, you won't find yourself in a tight situation. With a budget, you know what you can spend and ultimately you are the one in control of your spending habits and can do so in an educated manner. But, don't worry, you can always put a little bit of cash aside for fun purposes and not reserve all income for bills and other necessary expenses alone. Read: This trick slashes your bills for good. Simple but the majority of the population doesn't know it. When you budget your money, you can actually have more money in your account by not having to pay late fees or over-the-limit fees on bills that you didn't see coming and weren't prepared to pay. By not having these expenses, you'll have more money in your pocket over time. Looking for more ways to gain some extra income? Rent out your home on Airbnb or start blogging to get some extra cash. With a budget in place, you know what income is coming in and what expenses are going out. With this type of spending habits knowledge, you know what you can afford and actually what you are buying, which will enable you to save money in the long run. Having a written budget allows you to make informed decisions about your spending. Maybe you don't need those designer shoes or leather briefcase. Save your money and decide if those items are really worth the cost or not. When you create your budget, you'll be able to prioritize your spending or make financial planning a priority. It's one of those benefits of budgeting that people tend to overlook. It's a skill that doesn't overnight. Don't hit yourself when you can't do it the first time. Prioritizing your spending will get over time with practice and discipline. If it were too easy to do, then, a lot of people will have their priorities straightened out. I'm just saying. Look at your income and then think about what you really need to buy and what you can wait on. By prioritizing your spending, you'll be saving money and not spending without a care in the world. Individuals often make up budgets in order to achieve specific financial goals, whether it's saving up for a new car or budgeting in order to pay for an upcoming wedding. Whatever your financial goals may be, when you budget, you'll be able to achieve your goals much more easily. You'll be surprised how far simple budgeting can benefit you. You'll also be surprised that you could do a lot more even with less money. That's one of the hidden benefits of budgeting. When you have a budget in place, it will make it less likely that you will spend unnecessarily. Maybe it's heading to the nail salon once a week, any short term activities like summer camps, or buying subscriptions to magazines, which you never really get a chance to read. When you create a budget, you'll be able to look at all of your monthly expenses and then cut out unnecessary and even unexpected costs with ease. Budgeting can help you define what needs or wants are. That's one importance of budget or budgeting that people tend to overlook. With a budget, you can write down what you earn each month and what you need to spend each month for bills and other expenses. After you add up the totals, you can see what's left and reserve some of that money budget for recreation and entertainment. Remember that just because you are on a budget doesn't mean that you shouldn't spend a little bit here and there. The whole point of budgeting is to help you in managing your money and not deprive you of even the smallest wants you may have. After all, what's the use in working all of the time, if you can't have a little bit of fun along the way? Creating a budget doesn't mean that you have to spend every last penny on necessities. When you create a budget, you'll get all of your bills paid, see what expenses are unnecessary and figure out a way to cut those out of your monthly payments, and reserve a little money for fun and recreation as well. There are many benefits of budgeting your money and of knowing the importance of budget. Once you see what you can achieve by doing so, you're certain to want to start establishing a budget to live by. If you're wondering how to budget and save money, view more information on this topic online.